For fans of folk music and folk rock, this will probably be a welcome release. 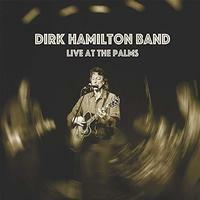 Dirk Hamilton and his band play a very effective and convincing brand of the genre. While it stays firmly within those boundaries, there is a fairly wide berth within that scope. This never fails to work, nor does it ever feel redundant or monolithic. A bit more of a rocker, this isn't as polished as the opener was. It still has some of that Mellencamp element, but perhaps with a bit of Bob Dylan in the mix. It's a classy rocker with a lot of energy. I dig the smoking hot guitar soloing later in the track. It lends some serious psychedelia to this. Country music and folk are the driving factors on this tune. It has a suitably off-kilter vibe at first. When it fires out after the opening bit, it turns a bit more toward the mainstream end of the equation. This is a cool number that works well. It's a lot of fun. This folk rocker has some country and more in the mix. I can make out some Allman Brothers in some of the guitar fills. Acoustic guitar and voice are the elements on this number. It is decidedly folk music. It's also intricate, delicate and pretty. This ballad is one of the highlights here. Harmonica and acoustic guitar bring this into being. The track has a real folk music basis, too. While this is more energized and a bit more rocking than the last cut, the essential nature of the piece is created with the same elements (acoustic guitar and voice). This does get augmented with some harmonica, though. With more of a rocking approach, acoustic guitar leads this number out of the gate. This is a fun, shuffling number with some jazz in the mix. The electric guitar fills bring a blues edge to this. This gets powered up further down the road to an energized, blues jazz treatment. Acoustic guitar and harmonica do a nice job of painting a picture before the voice joins. This has a driving kind of blues and folk energy to it. I love the intricate acoustic guitar on this number. More of a rock and roller, this has a lot of energy and a cool groove. There is some country and still some folk in the mix. This is fun. This rocker is a fun one. It has some nice electric guitar sounds to it. It also has plenty of folk music in the mix. This is a lot of Bob Dylan influence built into this folk rocker. It gets powered up and really rocks. It's a classy tune and a great way to end things.